Need some inspiration to choose a wine? Jerome loves the Pinot – find out why he thinks it's the bees knees. 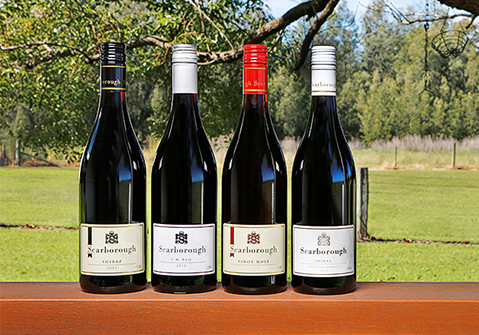 A mixed selection of our most popular wines for you to discover the Best of Scarborough – including 6 bottles of Yellow Chardonnay, 3 x Black Label Shiraz and 3 x I.M Red Blend. 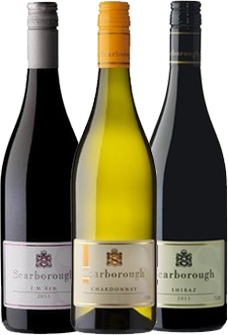 Our rich, bold Chardonnay, our 'flagship' wine, the Yellow Label Chardonnay represents the trademark Scarborough house style. Known for it’s distinctive label this wine has a loyal and devoted fan base. Perfect with crustaceans and classic roast chicken. This gorgeous blend of Pinot Noir parcels from the Hunter Valley shows that playing it cool in not always the way to go. We choose the best parcels of fruit from a number of vintages and blend these to create a delightful non vintage style that's super easy to drink, especially with duck pancakes or mushroom risotto. This superbly silky red blend is made up predominantly of Petit Verdot with a dollop of Merlot, Cabernet and Shiraz. In this wine's case, the whole is certainly greater than the sum of its parts. The dark fruit, the tannins and the structure come from the Petit Verdot and the Cab Sav; the softness and juicy-fruit intensity are thanks to the Shiraz and Merlot. Pair this black beauty with lamb backstraps on Moroccan-style couscous.